Mulberry is an English company globally renowned for its design, British craftsmanship and quality, particularly for its line of luxury fashion bags. In addition to leather goods, Mulberry's product range includes womenswear, accessories and footwear. 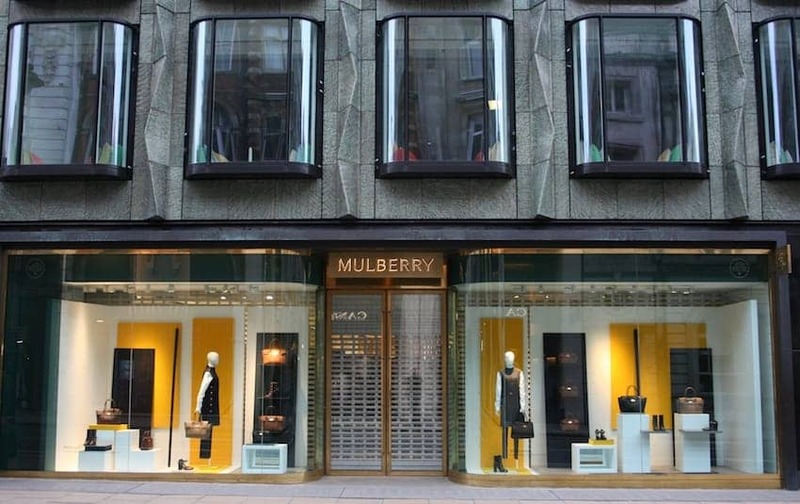 There are several dedicated Mulberry stores and in-store concessions throughout the UK with a progressively designed modern flagship store featuring stone, oak and brass fittings on New Bond Street. Personal monogramming can be arranged on some Mulberry products in-store.